Today TempoQuest announced that it has achieved a breakthrough 700% acceleration of the weather community’s Weather Research Forecast (WRF) model used extensively for real-time forecasting and weather research throughout the world. 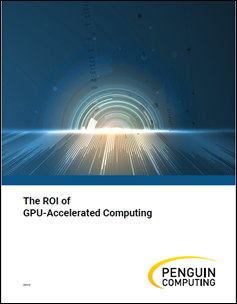 The game-changing speeds are the result of TempoQuest’s technology leadership in GPU development of weather modeling software combined with NVIDIA Tesla V100 GPUs to produce TempoQuest’s customizable and proprietary AceCAST software platform for GPU computing. Why is this milestone important? The implications for saving lives, protecting property and ensuring the profitability of weather-related businesses (e.g., agriculture, renewable energy, automated aerial vehicles and ground transportation) are profound.